Capcom is bringing Monster Hunter 3G to the Nintendo 3DS, the game being an enhanced port of Monster Hunter Tri for Wii. Several years ago, Capcom revisited the first Monster Hunter title with a “G version” which served the same function. Monster Hunter G was also ported to Wii several years later. Looks like that recent price drop of the Nintendo 3DS and Monster Hunter G just make me want to get a 3DS, let’s see if philippine game shops drop their prices of the handheld first. According to gamesite Andriasang, The water-based combat and movement will still be in Monster Hunter 3G with slightly refined controls with Touch enabled. Monster Hunter 3G will also feature local wireless multiplayer and, apparently, one new monster. 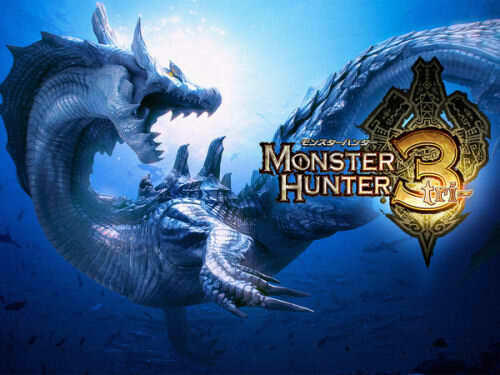 MH 3G is due out in Japan later this year, and will be playable at TGS 2011 next week. No word when it will be released in English. Sorry, Pinoy Monster Hunter players.